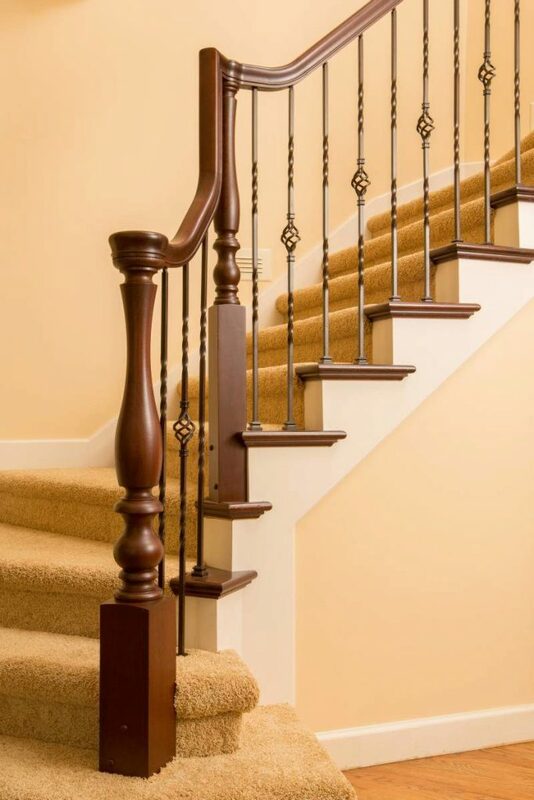 When a local customer called requesting custom turned newels, handrails, and wrought iron balusters, we jumped at the opportunity to help elevate the look of their staircase. 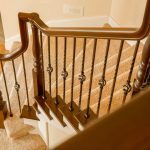 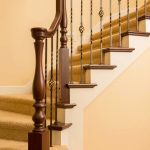 Because of the curve of the stairs, this project required multiple wood handrail fittings. 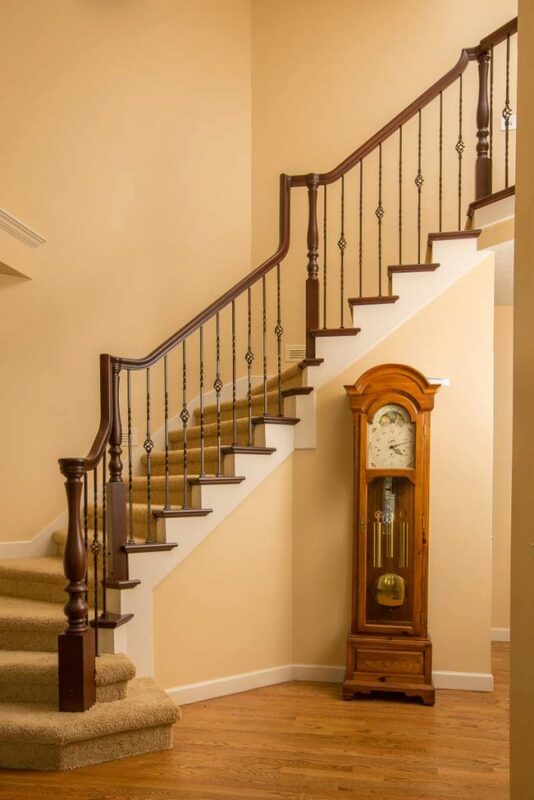 The primary fittings used here are the Rise Straight Goosenecks with Tandem Caps. 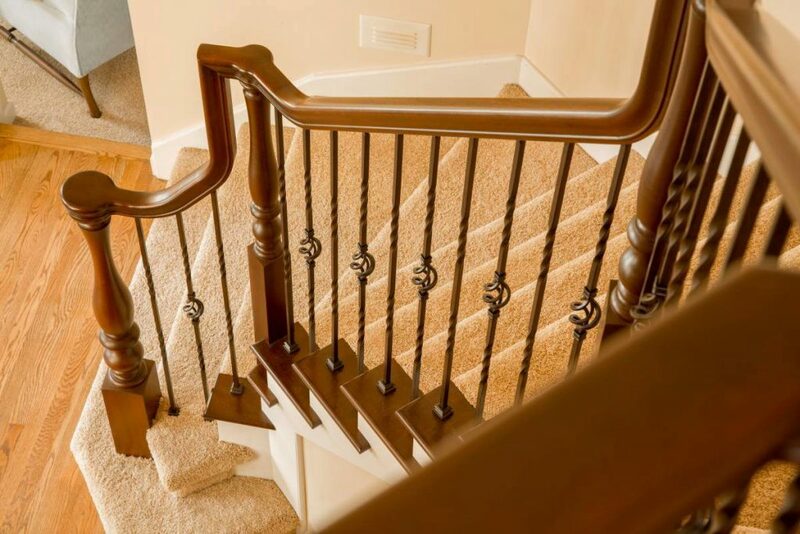 These fittings allow the handrail to make graceful transitions as it rises and curves. 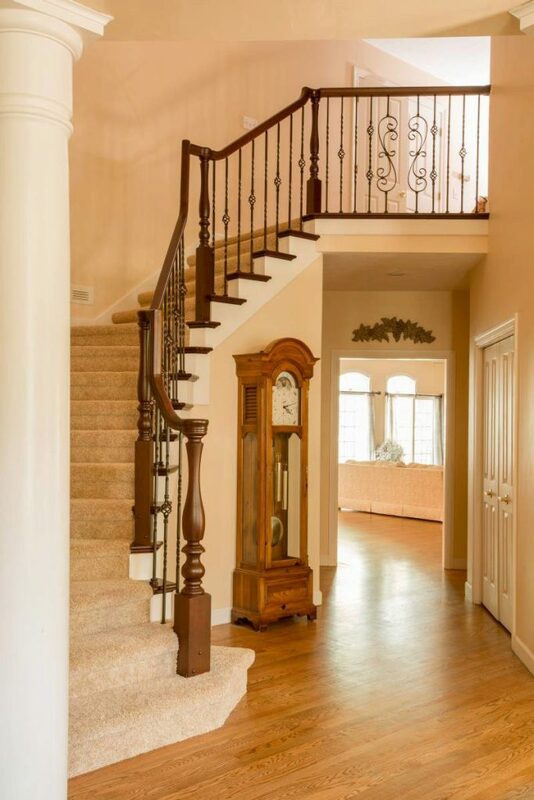 To give this staircase the final, elegant touch, this customer used Twist Series wrought iron balusters. 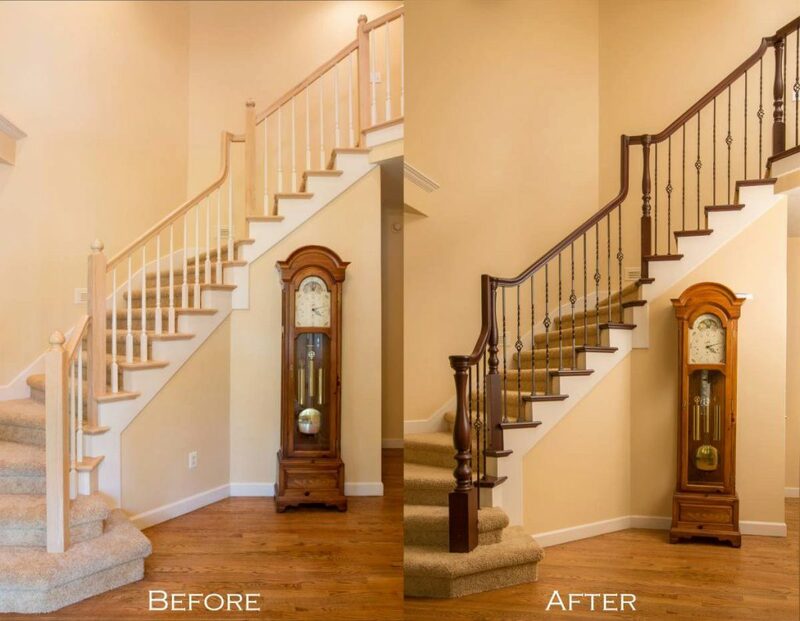 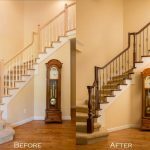 As you can see in the photos, the overall transformation of the stairway was spectacular!